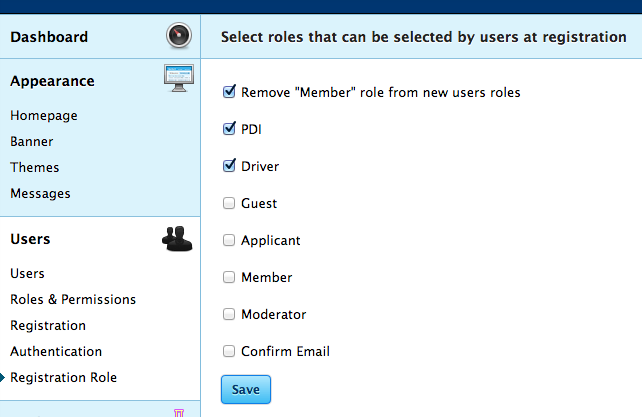 This plugin allows users to select a role during registration. This plugin will override core registration views. Since the development of the 2.0.x branch is now slowed down this should not be a problem. Requires Vanilla >= 2.0. but <2.1 I'm working on a different version of this for VF >2.1 (without core views override), since 2.1 has registration form hooks. The 0.2 version isn't compatible with the old one. When updating from 0.1 to 0.2 disable and re-enable the plugin: the setup process will do everything. Keep in mind that after the update you should find your users base to search not-yet-confirmed users and manually clean their roles, if any. 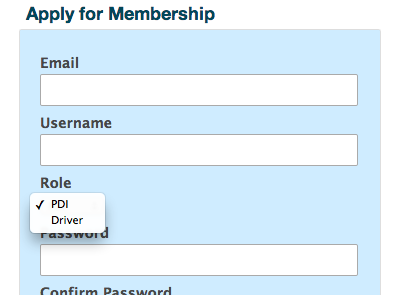 Otherwise you can use the ForceRole plugin to avoid "limbo users" From this version, the selected role is assigned only AFTER the email was confirmed. Thanks to johnnyzen for making this happen. Alessandro Miliucci, GPL v3 Icon by Valera Zvonko under Creative Commons (Attribution 3.0 Unported). 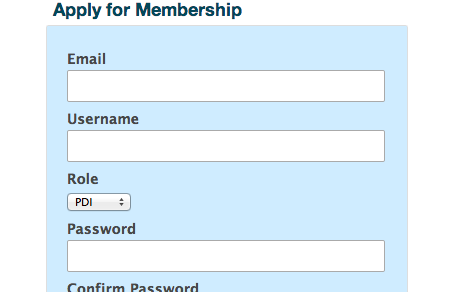 choose multiselect role by registration?